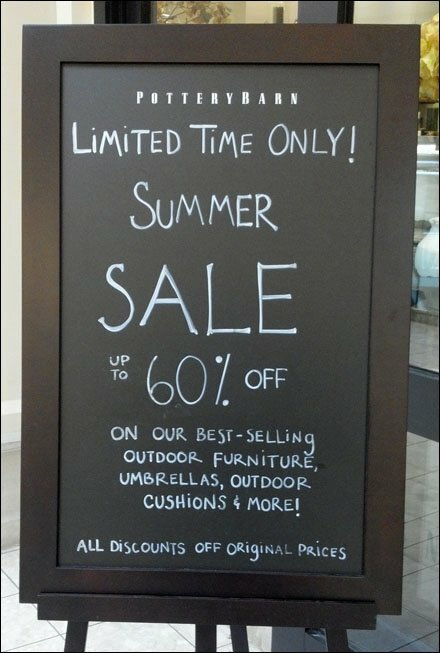 With the immediacy the chalk media, here is the most straight-forward of uses, an ephemeral, limited-time-only Summer sale. The use of an artist easel is most appropriate, and a highly portable way to display temporary chalk communications. CLICK the thumbnail for a closeup. Scroll down for chalk and hand lettered posts and threads here on FixtutesCloseUp. 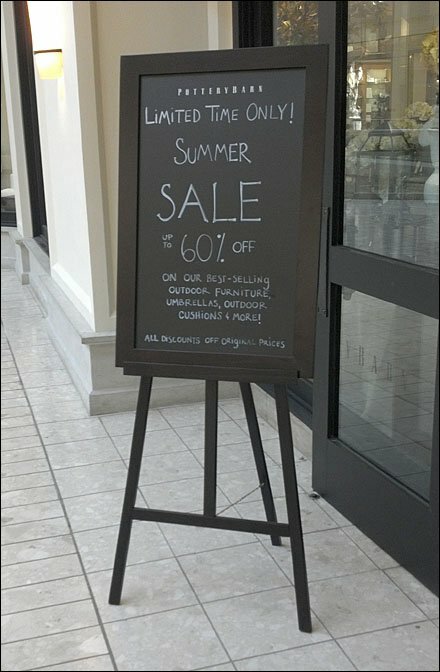 This example seen outside Pottery Barn®. See that the easel and frame match the storefront color branding.